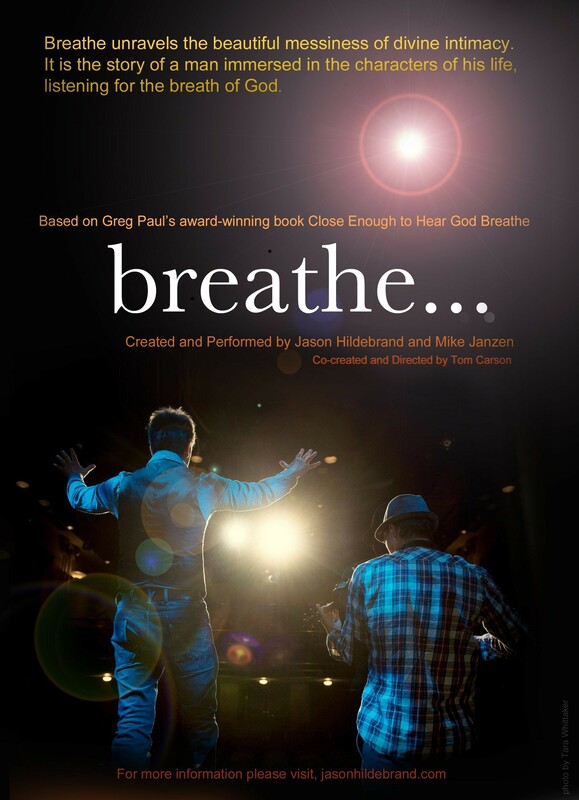 The Breathe film will be a cinematic telling of Jason Hildebrand’s powerful new production entitled Breathe, with Mike Janzen, inspired by Greg Paul’s award-winning book, Close Enough To hear God Breathe. From the beginning of time stories have been the bedrock of community. They strengthen relationships, are a means of teaching and encouraging and cause people to remember and reflect. The Bible is full of stories, and Jesus, the word made flesh, is the greatest storyteller of all time. Madeline L’Enlge says that “Jesus was not a theologian. He was God who told stories.” He revealed the heart of His Father through transformational stories called parables. These parables snuck in the back door of people’s hearts and challenged and changed lives. Today cinema has the ability to speak transformational parables into our culture. We are interested in making films that tackle the deep things of life without compromising honesty or intensity, films that start conversations and allow the audience to see themselves in the character’s journeys. Most importantly we want to bring people into a place of hope through film. The ambition of Breathe Film Project is to fill the current gap between films with no hope and those films that do not resonate with culture. We aspire to create a transformational film that, at it’s heart, reveals the storms of life while pointing the audience to the still small voice of God.